At Martin Industrial Supply, we pride ourselves on delivering the highest quality service and best value to our customers. This philosophy has helped us grow into an industry leader, providing custom-tailored solutions for maintenance, repair and operation supplies throughout the United States. Satisfied customers have come to know that we offer not only world class products and technical support, but also a team that works with them to provide cost elimination, increased productivity, and asset management. 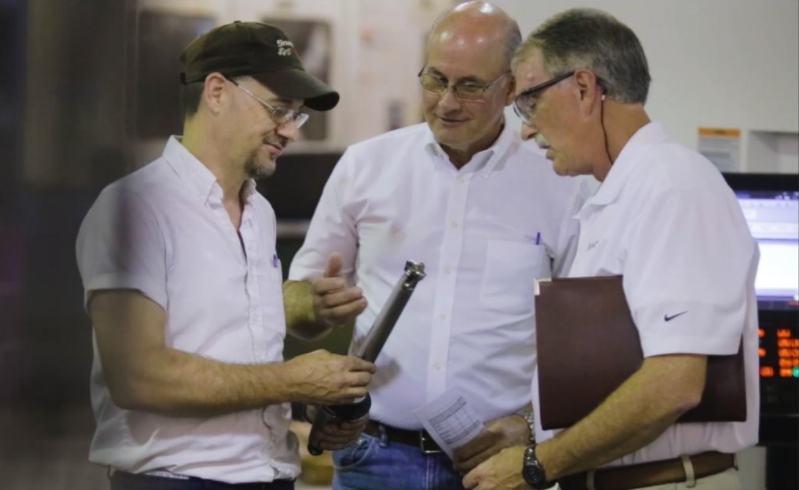 We have an experienced team of technical specialists that work closely with our Customer partners in many areas, including cutting tools, abrasives, adhesives, material handling, lean manufacturing and more. Customers are facing consistent pressure to provide new cost savings and improve productivity. Martin’s experts help our Customers meet their goals by being a resource to draw upon. Our knowledge combined with that of our suppliers creates a powerful force in the plant to get things done and drive results. Customer service is the backbone of our operations. Being Customer focused is one of our Core Values as an organization, and both our Outside and Inside sales teams work every day to ensure our Customers are satisfied. This level of our solution never goes away, no matter the size of the account or what other solutions we may stack on top of this you will always have dedicated Martin resources that work on your business to help you operate better. 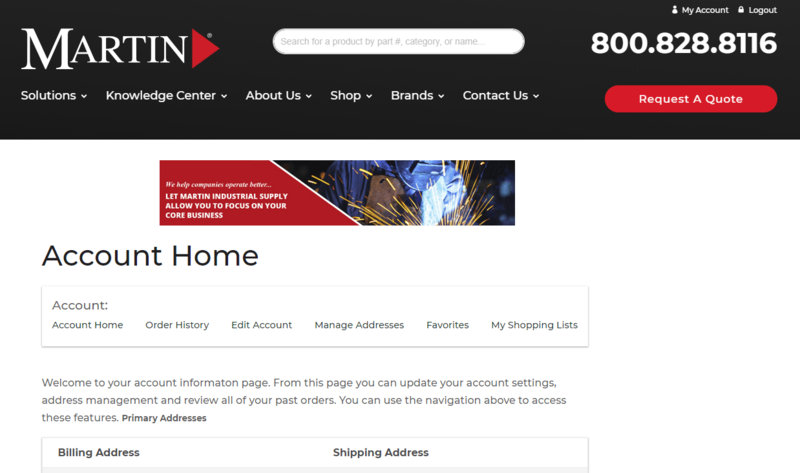 For Customers that want an ecommerce buying solution, Martin has a unique offering that is built with them in mind. We create a customized portal that not only contains dedicated pricing, but also the specific products that are approved by that Customer. This helps ensure consistency: only the agreed upon products are purchased, they are spec’d in, and rogue spend is greatly reduced. Eliminate inefficiencies and make fast, well-informed decisions. 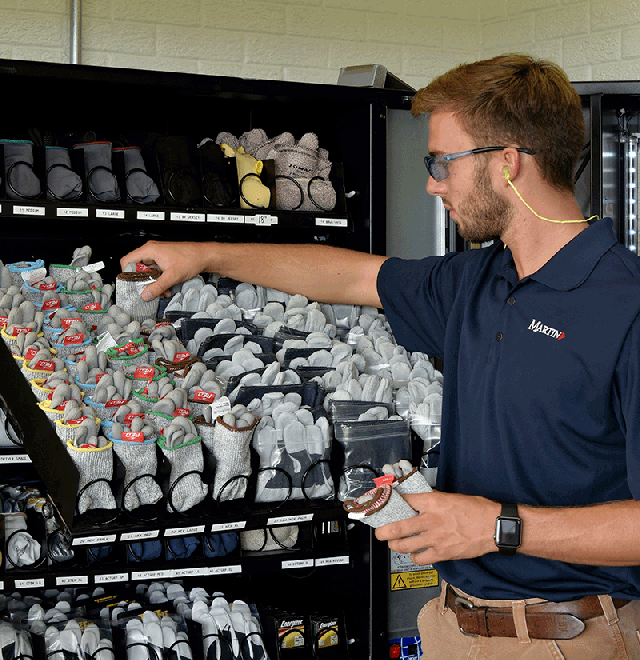 Martin’s industrial vending solutions make supplies directly available where workers need them, while maintaining the proper security level at point-of-use. 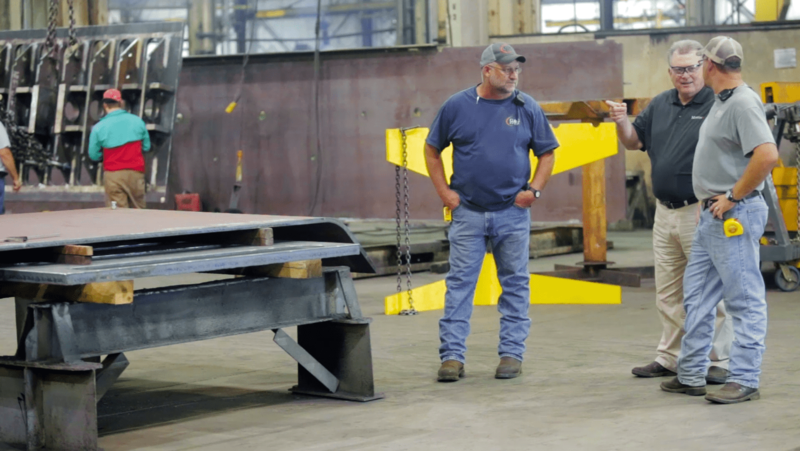 Martin offers the industry’s broadest variety of technologies and configurations, providing Customers with maximum inventory flexibility, safety, and productivity anywhere on the shop floor. 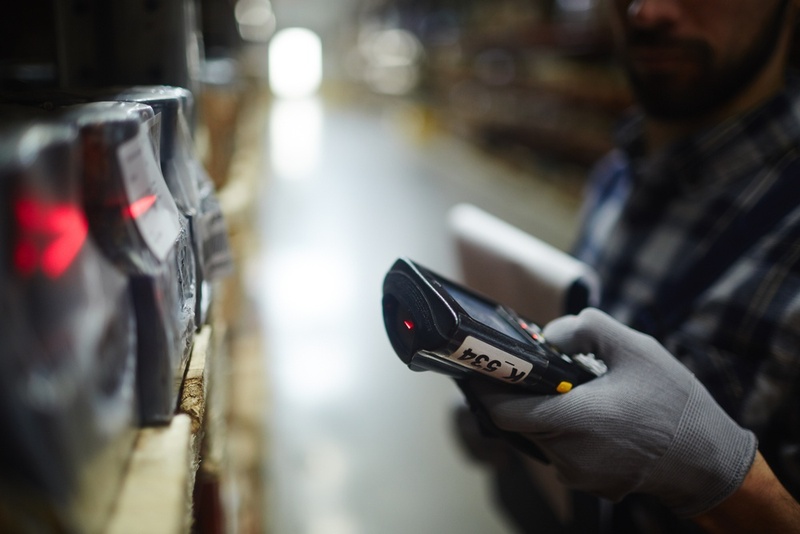 For a Vendor Managed Inventory program, Martin partners with out customers to handle your inventory inside your facility. This solution is customized to fit your exact needs. We apply a 5S methodology to your existing location as well as analyze any available data to determine proper product mix, stocking levels, and frequency of restocks. Once we’re in place you can focus on your value stream as Martin ensures you have the components in place when you need them. Our personnel come on site, take inventory, restock, and check in with your employees to make sure that they are getting the service they need. We also provide you with reporting so that you can always track what’s coming in. Want to customize your solution?